Average mortgage rates today barely moved since Friday’s opening. As is typical for Monday, there are no pertinent financial reports scheduled. We’ll be relying on economic data and news to see which way mortgage interest rates will skew over the next business day. One bright spot for the economy (if not for rates) is that Greece finally emerged from being bailed out by its European neighbors — it has a restructuring plan including drastic cuts. Anything stabilizing the economy over there makes our Treasuries and MBS less attractive to overseas investors and can cause our rates to rise in the long run. The week is likely to be changeable and uncertain because there will be less information and also fewer market participants. Vacation tends to do that, and when fewer investors are in the game, rates and prices can swing a bit wildly. If you’re floating a mortgage, stay in contact with your loan officer. If he or she is out of town, have someone you can contact to lock quickly if mortgage rates move fast. 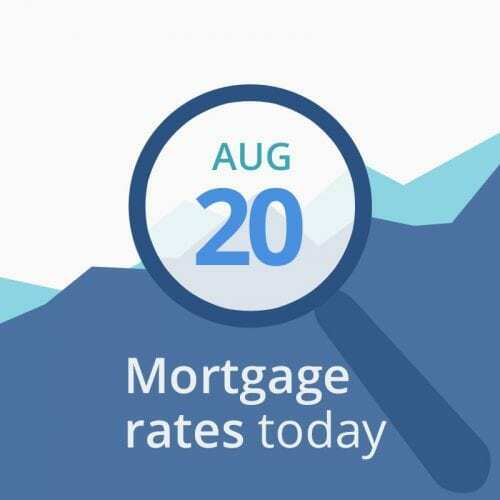 Today’s data are mixed for mortgage rates. But the most important figures (oil and Treasuries) are favorable. If I had a loan in process, I’d be inclined to lock. Unless by floating a day or two, I could get a better deal (15-day instead of 30-day, for instance) by doing so. But locking in today is also a good decision because today’s mortgage rates are so favorable. In general, pricing for a 30-day lock is the standard most lenders will (should) quote you. The 15-day or 7-day option should get you a discount of about .125 percent, and locks over 30 days usually cost more. In a rising rate environment, the decision to lock or float becomes complicated. Obviously, if you know rates are rising, you want to lock in as soon as possible. However, the longer you lock, the higher your upfront costs. If you are weeks away from closing on your mortgage, that’s something to consider. On the flip side, if a higher rate would wipe out your mortgage approval, you’ll probably want to lock in even if it costs more. This week is pretty light on data but heavy on information and opinions from the Fed. That can rock the boat if they come up with anything surprising. Anything indicating increased consumer activity or confidence is bad for mortgage interest rates. The reverse is also true. And when actual figures exceed analysts’ expectations, rates can increase. When actual numbers fall short, mortgage rates often fall. The Mortgage Reports receives rates based on certain criteria from multiple lending partners each day. We arrive at an average rate and APR for each loan type to display in our chart. Because we average an array of rates, it gives you a better idea of what you might find in the marketplace. Furthermore, we average rates for the same loan types. For example, FHA fixed with FHA fixed. The end result is a good snapshot of daily rates and how they change over time.